Hickleys and Teamwork locksmiths have partnered together to offer opportunities for skilled locksmiths or novices to learn new skills and earn extra income. Teamwork locksmiths are the UK's leading supplier of Right of Entry Warrant work and have contracts with an increasing number of Utility companies, Government & Associations. Teamwork need additional locksmiths throughout the UK to meet this extra demand. Teamwork need to ensure their locksmiths have the highest skill level possible and have selected the Hickleys Training Academy to deliver high quality, Non Destructive Entry training courses exclusively for Teamwork Locksmiths. This course is exclusive to Teamwork, specialists in 'Right of Entry' warrant work. 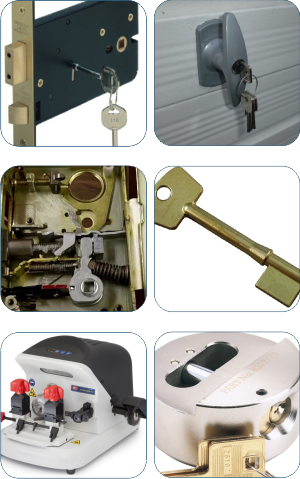 This training course is designed specifically to train locksmiths to a high skill level in 'Non -Destructive Entry' methods, thereby meeting the necessary skill level to offer 'Right of Entry' warrant work. The student will receive intensive training on the lock styles listed below, over a 2 day period with a maximum of 5 students. The course is 90% practical to ensure you know how to put the theory into practice. Upon completion of the course you will have the ability to work on the locks trained on, and complete warrant work from Teamwork. You must be invited by Teamwork to attend this course. No Dates Currently Available. Please call us on 01823 328604 for more information.